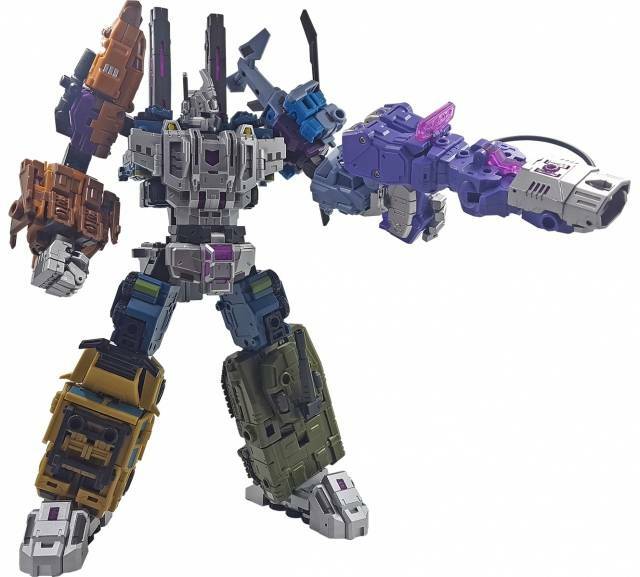 IF-EX22 War Giant Set B includes two legends scaled figures that when combined with Set A & Set C (Sold separately) combine to form the mighty War Giant! Booster Spear changes from war plane to robot and back and 1 Spin Vulture transforms from helicopter to robot and back! 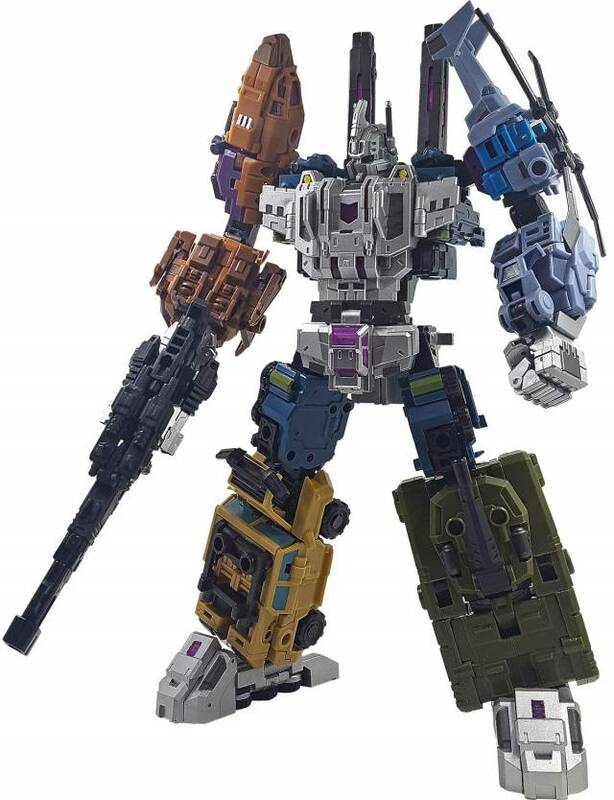 War Giant Set B is possibly the weakest link between the three Iron Factory War Giant sets as a whole. 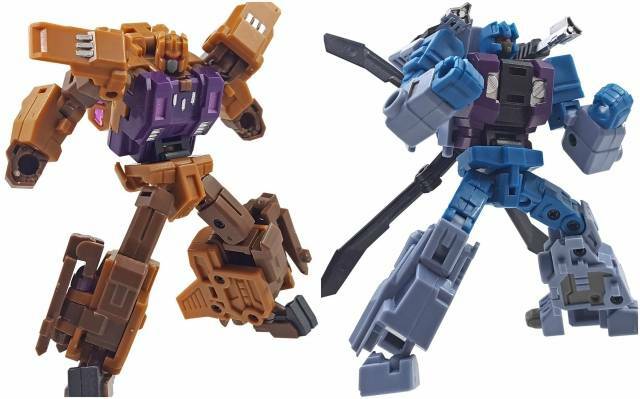 Not to say they're bad, but not quite as good as Sets A and C.
Booster Spear is the better of the two included robots. 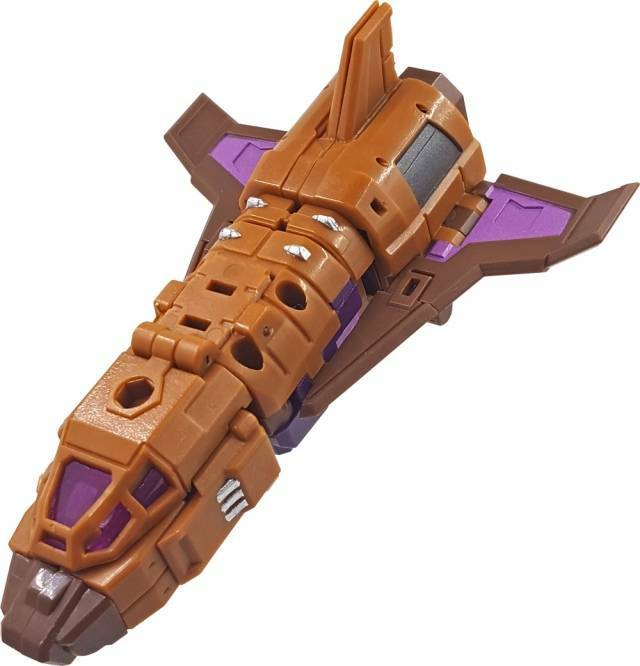 His streamlined Shuttle Mode looks fantastic, and his Robot mode has amazing articulation due to the included elbow joint integrated in his waist. This allows for quite a number of possible dynamic poses. Unfortunately his included weapon does not integrate terribly well into any modes; its molding prevents a good grip in the robot mode's fist, and there's no place to gracefully attach it to the shuttle mode without using the mount-piece from the included stand, which in turn means it cannot be attached to the stand with the weapon included. Most worrying however is the head/neck engineering, which is very small and feels worryingly fragile, would not recommend transforming without the use of a tool. 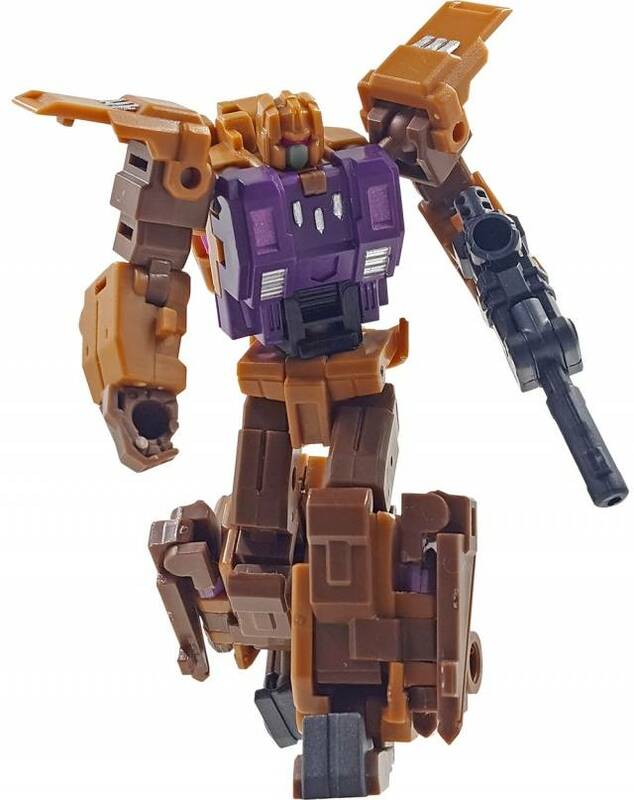 Transforming him into arm mode also necessitates some partsforming by way of the included leg blasters, which is not immediately apparant at first glance, although he does make a very flexible yet solid arm. In constrast, his packmate Spin Vulture doesn't reach the same standard of quality. While similarly poseable as Booster Spear due to the arm mode elbow joint, Spin Vulture's articulation is somewhat encumbered by his helicopter mode kibble, which doesn't lock together very well. 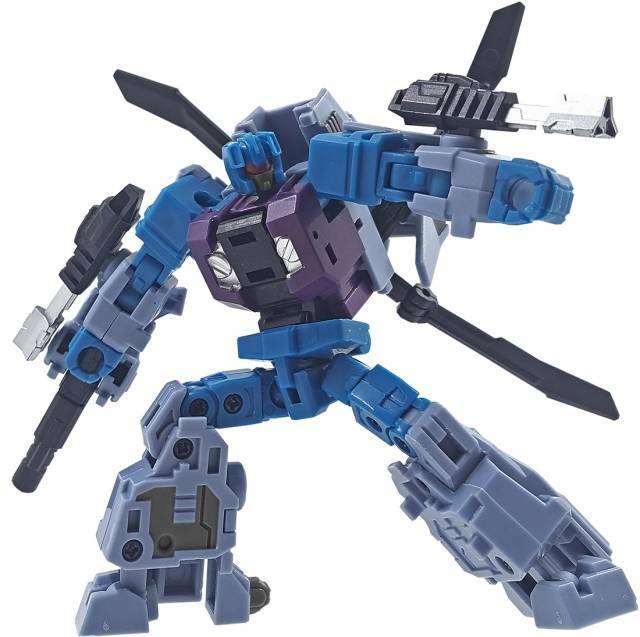 His helicopter mode conversely feels very bulbous and aesthetically poor. 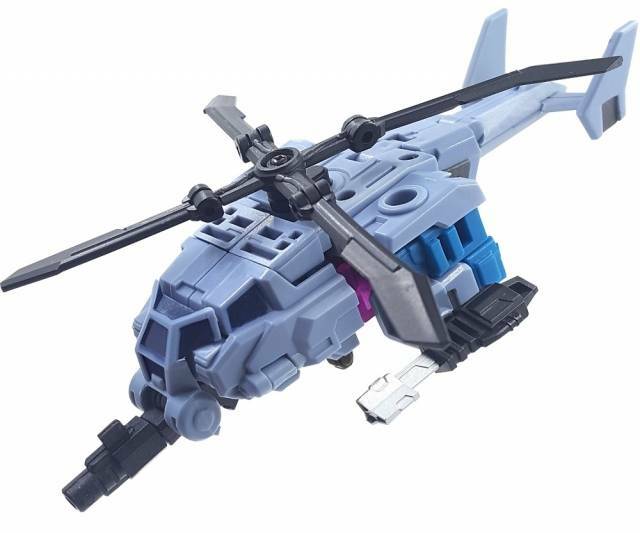 Most frustrating however is the fact the helicopter cockpit piece must be partsformed by detaching it and changing it into a weapon for the robot mode with no place to otherwise mount it, which would not be as big an issue if the piece did not have a great deal of trouble staying attached. Spin Vulture's arm mode is also slightly less stable than Booster Spear's, due to the lack of parts that lock the elbow joint and the parts used to attach the hand coming undone too easily. 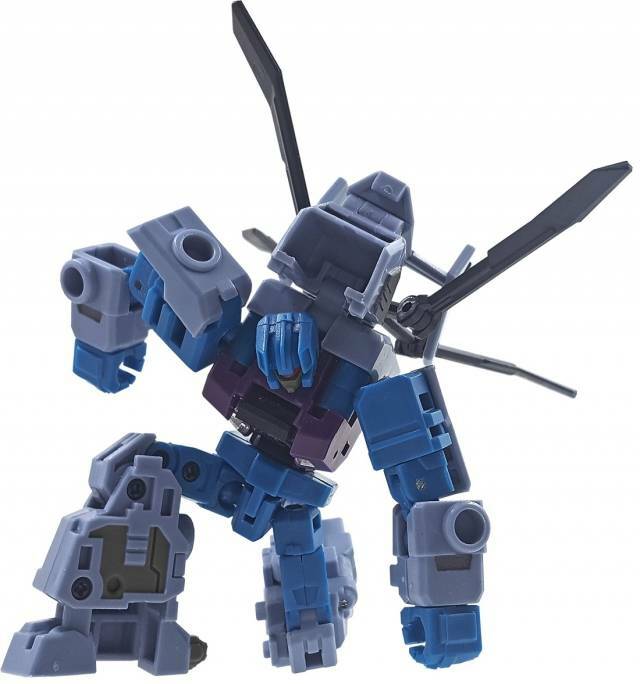 It should be noted that due to the transformation process of changing both Booster Spear and Spin Vulture into arm modes, a great deal of stress can be unintentionally placed on the swivels that connect the waists to the torsos when changing into ANY modes, so care must be taken in transforming them. The included War Giant Hands, while highly flexible, can also be somewhat fragile due to the knuckles being attached via balljoints, though nowhere near the fragile level seen by KFC releases. 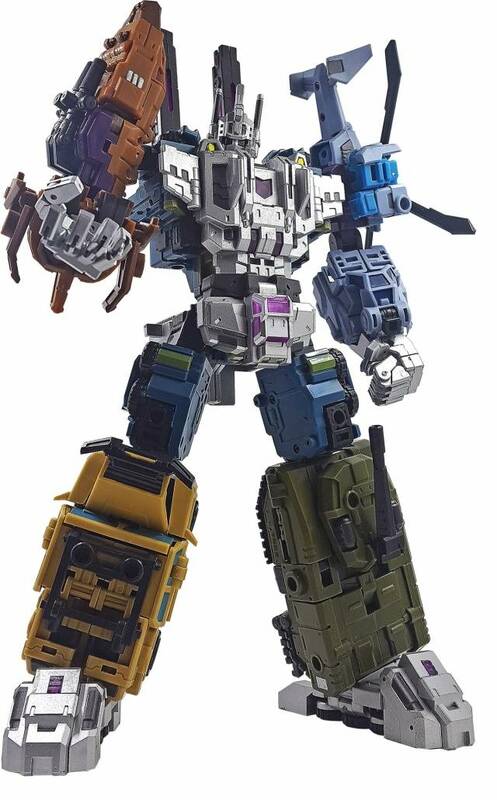 Finally, War Giant Set B includes a Nontransformable Bridge Watcher, which can be held by War Giant in lieu of using the actual Iron Factory Bridge Watcher, as well as two identical stands which can be used to mount Booster Spear and Spin Vulture in vehicle mode. 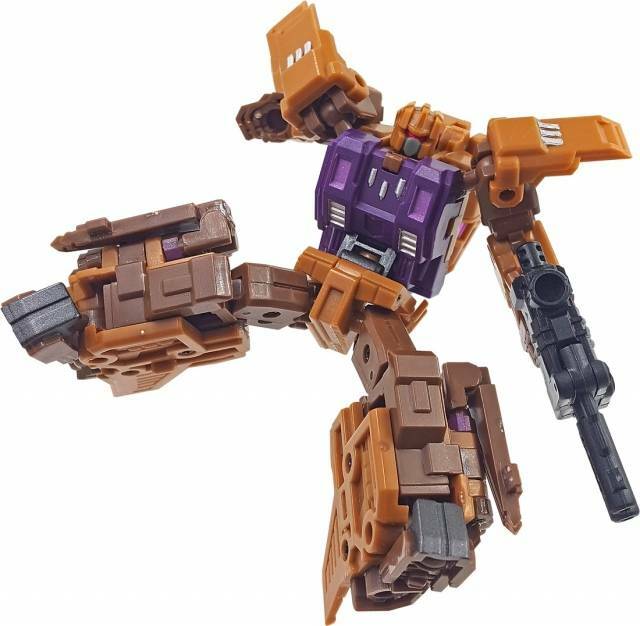 Although the stands CAN be attached in Robot mode, they must be attached to their stomachs. Overall, Set B is considerably more problematic than the other two War Giant releases. Be sure to take care when transforming them. While they are necessary for War Giant, I cannot recommend them as highly for a solo-purchase.